Our team is dedicated to helping you achieve long-term oral health by earning your trust and developing a lasting partnership. At McComb Family Dental, we individualize treatment plans that focus on your unique situations and goals. With teeth whitening, TMJ therapy, full-mouth reconstruction, and more, we can address any concerns and transform any smile. Our patients' comfort is our top concern. We want to learn all that we can about you so that we may treat you properly. We will give you a thorough examination which will include a complete medical and dental history, a careful oral exam, digital x-rays of your entire mouth when necessary, an oral cancer screening and often diagnostic photos and/or models of your mouth. We can then determine the best type of treatment you will need to restore your mouth to optimal oral health. We provide the finest dentistry possible for our patients. When our services are combined with proper tooth brushing, use of dental floss and regular check-ups, we can together maximize the success of your treatment. Good dentistry can be a long-term investment that pays off with a beautiful smile, a pain-free mouth and enjoyment of the things we eat. In today's dental health care environment, infection control has become a major focus of attention. 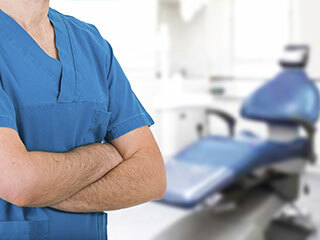 We want to ensure our patients that we sterilize and disinfect our instruments and equipment with state-of-the-art sterilization techniques in accordance with the Ohio State Dental Board regulations. We believe in delivering results based on the idea of functional aesthetics so that patients can receive truly gorgeous smiles that will withstand the stress of daily life. Our doctors won't dictate treatment, but will explain their recommendations and review the options so that you can make an education decision about your dental health. After a complete examination and consultation, we will customize a detailed plan that will make your smile dreams come true. Quality dental care for your whole family. Call McComb Family Dental to make an appointment with one of our dentists. We serve McComb, Findlay, Leipsic, North Baltimore, Ottawa, Fostoria, Bluffton and Deshler and the surrounding areas with state-of-the-art dentistry personalized for your needs.